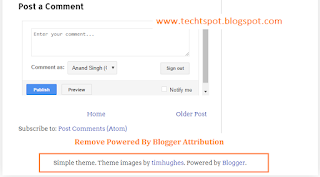 Hello friends, welcome to the Techtspot Blogger tutorial today I will show you how to disable Right Click on Blogger pictures with pictures. 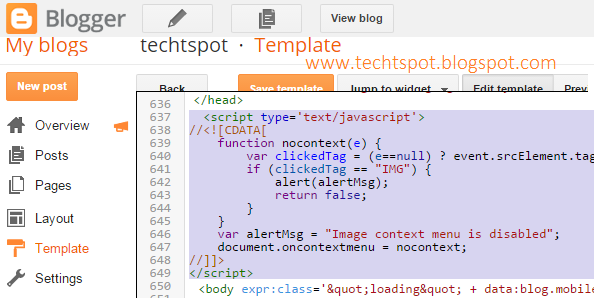 Today we learn how to protect our Image or how to Disable Right click on images in our Blogger. 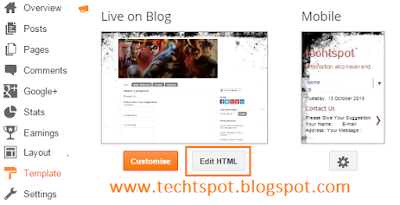 Step 1: Go to Blogger Theme and click Edit HTML button. 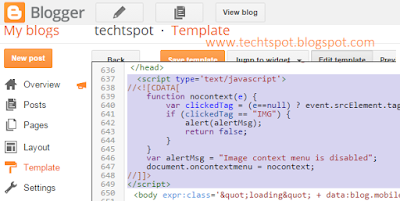 Step 2: Click in Code and Press Ctrl+F type </head> Paste the Code after the </head> tag then click Save template button. Works perfectly bro. but if drag and drop the image it can be save.